Following the recent attacks on Paris, the hacktivist group Anonymous had promised that they would respond using all of the tricks in their arsenal to minimise the terrorist group’s online presence. Anonymous also said that they would do so by taking down Twitter accounts, Facebook pages, websites promoting Jihadist propaganda and ISIS’ main forum. Keeping up with their promise, the hackitivist group has taken down ISIS’ main forum, which is the group’s primary means of communicating with their members. 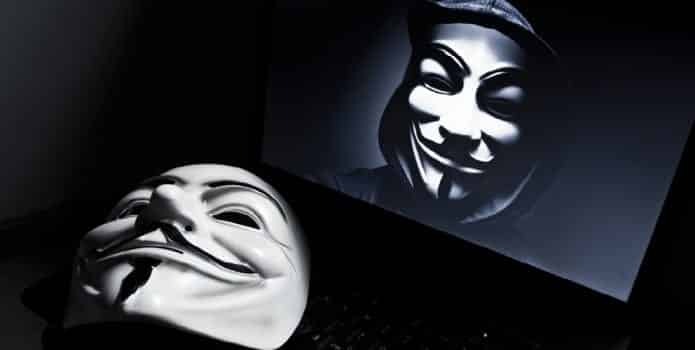 Anonymous hopes to make it difficult for the group to communicate between them by taking it down and also possibly disrupt future attacks. However, some critics believe that this plan may backfire and lead ISIS to further hide their activities in the future and switch to other social media platforms and messaging services. Rachel Bryson, a researcher at the Quilliam foundation who specializes in Islamic State messaging confirms that while this takedown will not affect the spread of ISIS propaganda in the long run, but it will largely affect the operations to the terrorists’ communication systems. Even if Anonymous succeeds in crippling all of ISIS’ systems, the terrorist group will still figure out a way to rebuild them, she added. A few days ago, Anonymous had also taken down over 20,000 Twitter accounts that were linked to the militant group, as part of their attacks against ISIS. However, these attacks backfired as annoyed people started showing sympathy towards the terrorist group with some even promising to take revenge on behalf of ISIS. ISIS has already reportedly moved major of its operations to the dark web making it much more difficult for the authorities and hacktivists such as Anonymous to track their operations in the future. Their activities can be only accessible with special computer programs like Tor Browser. In addition, the group has also been using Telegram, which offers end-to-end encrypted messaging. This cloud based messaging service works across a variety of platforms including both mobile and desktop. Telegram also offers end-to-end encryption with self destruct timers making messages harder to trace and recover. In an effort to halt the use of its services for terrorist activity, Telegram has already suspended 78 public channels that were believed to be used towards to propagate terrorism.